February | 2014 | C.H.A.M.P. You know that feeling when you’re reading a book and it’s so good that you want to keep reading it all the time but you also don’t want to finish too soon because you want to keep enjoying it for a longer time yet you can’t help yourself. That’s this book. I wrote the above sentence in February when I finished reading this book. I don’t know if I can really say much more about how much I loved this book, other than I am looking forward to reading it again, and I don’t usually re-read books (especially with my CBR addiction it’s all about the numbers). I read on the wikipedia page that it is going to be made into a movie, of course. This saddens me a bit as I know there is no way they can relay the magic of this book onto the screen. “The Martian” is about an astronaut stranded on the titular planet. (I love the word titular, it is titillating). There is a snafu with an evacuation and he is left behind. The rest of the book details his struggle to survive and it is a mix of science with a good dose of humor mixed in. If you are at all interested in reading it, just go for it you will not regret it. I prefer not to know too much about books before I dive in as I find it makes it all the better when you find a really good book, and to me this was a really good book. Incandenza wrote a great review of this book over on CBR, and he (or she) pretty much read it in one sitting. Very impressive! As stated above I felt the same way, binge reading when you find the right book, cannot be beat! 2014 so far has been a busy time but full of steps in the right direction as well. As much as I tend to be hard on myself I have accomplished a lot so far this year. 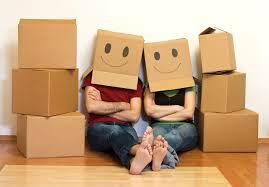 As I mentioned before, I have been getting ready to move and tomorrow is the big day. I get the keys to my new place at 8am and I really can’t wait. As much as I tried to make the experience as stress free as possible I didn’t fully succeed. I have come to the conclusion that the stress is inevitable. But looking on the bright side, I am organized, I have a plan and I took tomorrow and Monday off work so that I can take my time setting things up at my new place. My biggest excitement lies in the fact that I will now have a bath tub!! I haven’t had my own tub in over 5 years. I am gonna aromatherapy and candle up the place!! 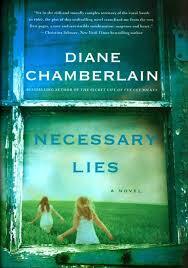 Necessary Lies by Diane Chamberlain was the first book that I finished reading in 2014. I read this book as I decided to go to a meeting of the girly book club. I have been a part of Cannonball Read for 5 years now (wow how time flies!) but in the spirit of getting out of my comfort zone I decided to get together with some real live humans and maybe even make some friends along the way (spoiler, I didn’t make any friends). First of all about the book. Necessary Lies is a tale of eugenics, empathy and changes in reproductive freedoms. Set in North Carolina in the early 60s and loosely based on actual events, this tale takes us through a turbulent time for both a young woman (Ivy) living in poverty on a tobacco farm and another young woman (Jane) starting out a career as a social worker with little experience or world knowledge. Ivy does her best to hold her family together, but is often left responsible for the care of her young nephew and her elderly aunt. Her sister has limited intelligence, and Ivy worries often that she will become pregnant again leaving Ivy to take care of more children. Ivy doesn’t worry enough about herself, and despite efforts from social workers to educate her, she denies her own involvement with any sexual activity. Jane is a doctor’s wife who although recently married, decides to secretly take the birth control pill and seek out a career in social work despite her husband’s concerns. The two women of course meet through Jane’s work and Jane becomes Ivy’s advocate, to her own professional peril. Back near the beginning of January I got a concussion after some kid cut in front of me at the ice rink and I bumped my head. The Dr sentenced me to several days of complete rest including no reading, no TV and no phone. I decided that there was no way I could sit in a dark room with silence for all that time so I decided to download an audio book. I had previously decided to no longer buy audio books after losing them all when my phone died (why on earth I can’t re-download them like everything else I don’t know, thanks apple) but I have never been too good at sticking to my guns so here I am with another audio book review. I just finished listening to this and I will be honest that I have reviews for 5 other books that I have finished reading sitting in my drafts folder but I have been experiencing a bit of writer’s block in getting any of the reviews up. 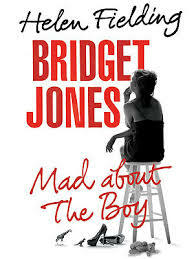 If I want to be Bridget Jones style honest, the drafts contain only the titles of the books lest I forget what I have already read this year. Well 2014 has been off to a busy start, but my health and fitness has not been at the top of my list. Just after writing my last post, I had a fall ice skating and then caught the flu while at the ER to have my head checked out. My whole family got really sick for a few weeks, even took a whole week off work, which I don’t think I have ever done in my life. During that time, I decided it was time to move and find a better rental suite. I won’t list the numerous reasons that I hate my current place, but I am excited that we finally found some place new. Of course, me being me I am still nervous that we didn’t pick the right place, but I need to focus on the positive and know that it is a step up. Getting ready to move has involved a lot of de-cluttering and tidying and now that we are moving for sure, of course there has been packing. I have let this be my main focus, rather than exercise and sadly my eating habits have been fairly poor, although I am drinking vega shakes a few times a week and having my herbal teas and things like that. My weight has stayed fairly stable, although I feel less fit so my fat % likely has gone up a bit. Today is the day though that I go back to the gym. I will always stay on top of my goals, even if I stumble or have to change what those goals are. Feeling great about the future, life is good!